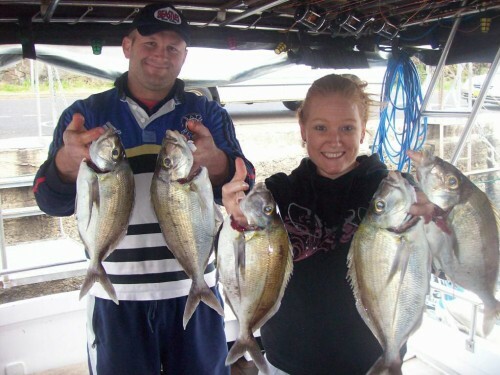 Fishing & Boat Charters Kiama, Jervis Bay, Wollongong just 90 minutes south of Sydney is the beautiful harbour of Kiama. Here is where you will find the historic, well appointed 44 foot MV Signa. Full kitchen and bathroom facilities and all the comforts of home. Sports – For Sports Fishing, we use “Bait Runner” Reels on 8 ft rods using light line and custom “Black Magic” stand up gimbles and harness. 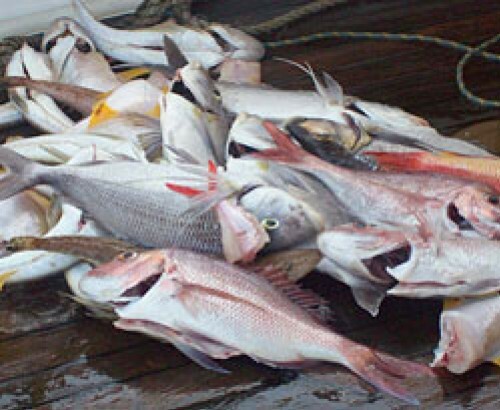 15 miles out and beyond for surface fish like Dolphin Fish, King Fish and Shark. Price – $POA per person. 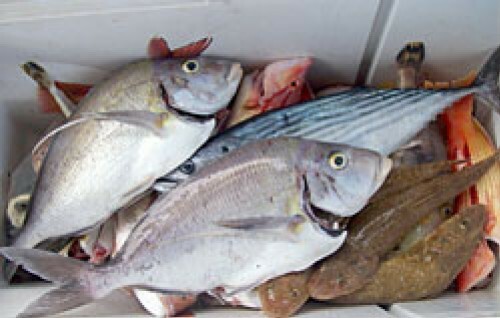 Deep Sea – For Deep Sea 15 miles out and beyond for Blue Eyed Cod, Gem Fish and Harpuk.Price – $POA per person. Game – For Game Fishing we use “Tiagra” (Shimano) reels and custom built rods, “Reflex” game chair and outriggers for a five lure spread. 30 miles out and beyond for Marlin and Yellow Fin Tuna. Depart 6.00am Return 6.00pm. Minimum 4 people and Maximum 6 people.Fully Catered. Price – $POA per person. We also do Sunset, Pleasure, Overnight, Corporate Days and the Sea Cliff Bridge. Inclusions: Prices include all fishing gear, bait, licenses and a Sausage Sandwich or Bacon & Egg Roll and basic drinks. The M.V.Signa is a purpose built Game Fishing Boat. It was built in 1970 by Jack Patton (A life long member of Sydney Game Fishing Club) and was named after his Wife Signa (Sig). The boat did two trips to Cairns while Jack owned it and was chartered by such personalities as Lee Marvin. He is also credited with the development of the “Sir John Young” Banks off Currarong as a South Coast hot spot where Jack and his good friends, Bob & Dolly Dyer fished many a time. “Patons Peak” in Sydney, was discovered and named by Jack as a famous fishing spot, still recognized today. He is also credited for another hot spot known as “Browns Mountain” which he named after his old Deckhand Browny. This spot is renowned for Tuna & Marlin. In about 1990, The Doyles (of Doyles Seafood Restaurants) purchased the boat off Jack. Mick & Bill Doyle tell us that it was put into Survey with the Maritime Services Board to conduct fishing charters out of Sydney. 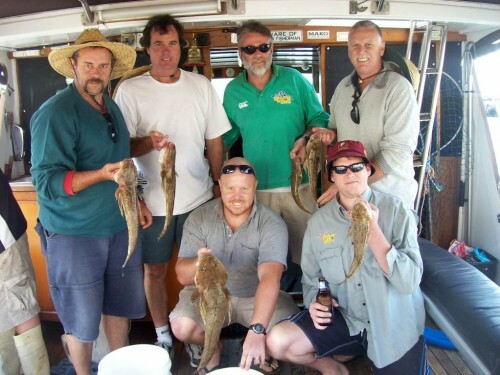 Then about 1996 she was purchased by Greg (Chief) Guy who bought her down to Kiama and began fishing charters from there. Greg completely refurbished the boat with state of the art electronics and navigation equipment to get you to the right “Spots” again and again, full galley re-fit and comfortable seating. Ross O’Brien worked on Signa as a deckhand and master with Greg until his opportunity to purchase this beautiful boat came up in 2005. M.V.Signa now has all the comforts of home including shower with 100lts of water, full size toilet, 51cm LCD television complete with surround sound and luxurious leather lounges, microwave. She is 44 feet long and powered by twin Perkins engines. She cruises at a comfortable 10 knots and has a top speed of 17 knots. All this combines, to offer a level of comfort not seen in many other Charter Vessels. Our Deckhands are fully qualified to make your day both safe and enjoyable. Full instructions on the use of all our gear are given to help you hook that fish you only read about.